Watson had a big adventure this week! He hiked with 3/4 of the mini MRMs through an old apple orchard, sniffing and exploring all the way. We came home with a bag full of apples and one tired pup. He ate his lunch and thoroughly enjoyed his afternoon siesta. He didn't even make it all the way from his food bowl to his bed. This pooped-out pup's pick of the week is Good Night Sleep Tight Don't Let the Stalkers Bite, a well-reviewed humorous cozy mystery from Teresa Watson. This book is the first in Teresa's Charlie Bannerman mystery series. Charlie is a freelance writer dealing with a naughty runaway pup, an exploding car, and a truck in her living room. Check out this fun, suspenseful read and find out how Charlie deals with a rough week and her destructive stalker! As of this posting, Good Night Sleep Tight Don't Let the Stalkers Bite is available at only 99 cents for Kindle. 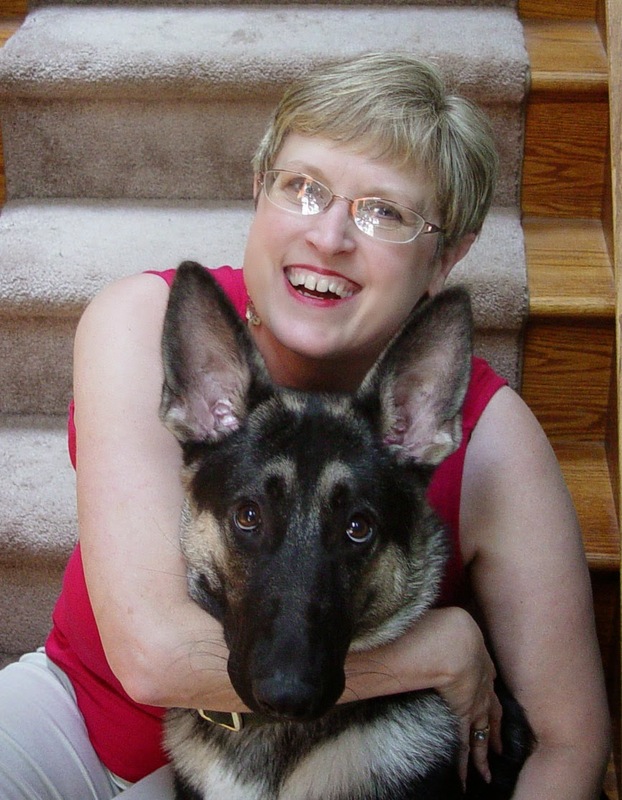 Don't forget to check out Teresa's other popular series, the Lizzie Crenshaw mysteries. Waiting patiently for the doctor to arrive. We're trying out a new theme here at MRM, featuring our new addition and "official mascot," Watson. Each week we will feature a book or series in Watson's Pic(k) of the week, along with a new photo of our growing boy. We will continue to focus on bringing you great books for GREAT prices, along with a little cheer from Watson. Today marked not only MRM's birthday (shh...don't tell him I told you!) but also Watson's first vet visit. He was a fantastic patient, and seemed quite unruffled by all the fuss. He snoozed right through his exam! Since he had such and easy time today, Watson felt very strongly that we should start off our new blog featuring one of his new favorite kinds of people: Vets! 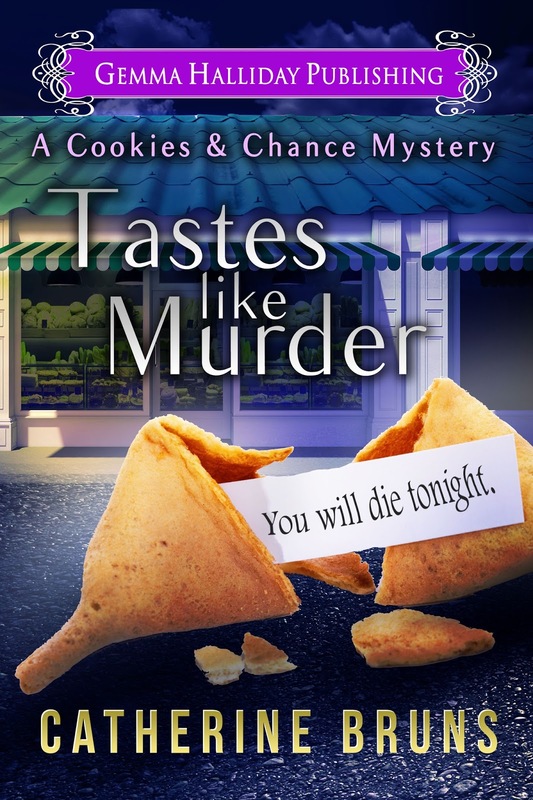 We couldn't think of a better way to begin than with the bestselling humorous cozy Leigh Koslow Mystery Series from Edie Claire. While Leigh is an advertising copywriter (and occasional vet tech), her father is a veterinarian, as is author Edie Claire. The Leigh Koslow mysteries and accompanying menagerie of pets are perfect for animal/mystery lovers. The first three books in the series are available as of this posting at a FANTASTIC price of less than $1.40 per book. P.S. 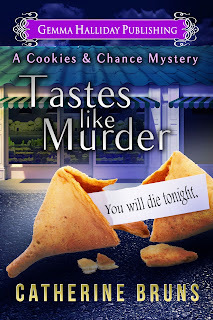 Don't forget to click over and see the winner of the signed copy of Catherine Bruns' new bakery-themed cozy, Tastes Like Murder! If you didn't win or didn't get a chance to enter, please enjoy the excerpt from this great new author. 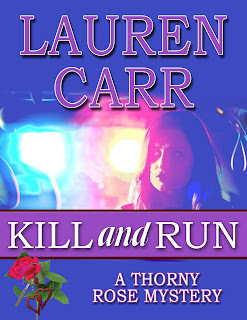 Lauren Carr, author of the Mac Faraday and Thorny Rose mysteries, joins us this week with a thoughtful post on the importance of keeping storylines and series fresh without betraying the trust you've built with your readers. 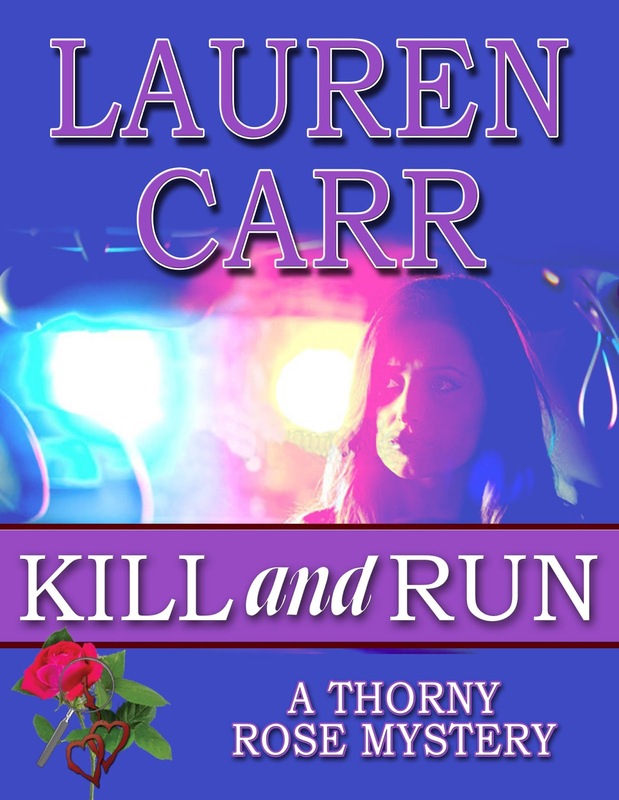 The first book in the Thorny Rose Detective series, Kill and Run is available TODAY, September 4th! Writing Outside Your Comfort Zone: Are You and (more importantly) Are Your Readers Ready? Every writer has different dreams of “making it.” Most of us determine that we have “made it” when we are able to write full-time. Some go even further. They want to write full-time and pay their bills with their earnings. About ninety-five percent of us never really make that point. As years go by, our definition of being a successful author will recede. By the time we reach middle-age, it will be something more obtainable. That’s so we can die feeling that we have succeeded in our life dream. When I started writing over thirty years ago, I first defined my success as making a boatload of money. Nope, never even remotely happened. Then, I would be happy to have Hollywood call. Now, that did happen. But then, I was rejected weeks later (after rewriting the screenplay) when the producer and star who wanted to do the project dumped me for a writer with a track record. At that time, mine was zero. Okay, I would be happy to get a literary agent. Got that, but that relationship ended when I gave birth and decided to give up writing to be a stay-at-home mom—which lasted six months at which time I started writing again, but the literary agent was gone. By then, my defining moment of success came when I would release a book and find that I had readers waiting to buy it. That has happened. It is very nice to release a book and have readers snapping it up, seeing its ranking crawling up on Amazon, and getting great feedback. It’s almost enough to make a writer breathe a sigh of relief and get … comfortable. Is it really possible for a writer to get comfortable? I don’t think it’s part of our make-up. I have learned that authors are generally insecure anyway. Maybe it has something to do with all the rejection we get from literary agents, publishers, editors, and some nasty reviewers with deep seated issues that have nothing to do with our books. You have to have a skin made of iron to take some of the feedback from these groups. It is not uncommon for an author to strike it big with their first book--snagging the agent and the big book deal—or even a movie deal, only to flop with their second book. At a speaking engagement, one author told how this happened to him. He wrote his first book with the goal of getting the agent and book deal. He wrote what the agents and publishers were looking for. This book became a New York Times best-seller. After achieving the success that every author dreams of, he wrote what he wanted to write, which was quite different from his first book. The audience that he had acquired with the first book was shocked and disappointed. So were the reviewers. Thus, he lost his audience. One very successful author, who I won’t name because I have stopped following her, lost me and other readers when she took a turn in her storyline that infuriated us. After years and dozens of successful books in her series, she killed off a main character whom we had grown to love. This author is still a success and her books are top sellers, but she did lose many readers, who posted reviews saying that they felt betrayed. Why would an author kill off a major character after years of character development and dozens of books? Well, as an author, I can see why. It is the next reason that authors lose readers. Their books have grown stale. However, their audience can get sick of hearing and reading the same thing over and over again. Just as an audience can get bored reading the same thing, imagine writing the same thing. After writing so many books, especially some that are successful, an author can discover that they are writing from a formula. The basic plot is the same. The names have changed. Even the characters will have the same personalities. This can happen without the writer realizing it. When I had finished the rough draft for my latest mystery, Kill and Run, I realized that the climax was very similar to ending in The Lady Who Cried Murder, the sixth Mac Faraday Mystery. I had to go back to the drawing board to rethink and rewrite the whole ending, which I believe is much more thrilling than the original. Fresh storylines keep an author’s creative juices flowing. It’s what keeps the writing fun. So, once an author has “made it,” they find that they have to do a balancing act in order to keep their readers while continuing to grow their audience. Not only do we have to stretch our creative muscles by coming up with fresh storylines and characters, but we have to do it without betraying our readers’ trust. Readers have certain expectations from the author. It shouldn’t be any mystery to the author. They can find it expressed in the readers’ reviews. Mine have expressed their love of my complex mysteries that challenge them—which challenges me as a writer. It was in a search for yet another challenge for my readers that I tackled a new series set in Washington, DC. The detectives in the Thorny Rose Mysteries, Lieutenant Murphy Thornton, USN, and Jessica Faraday are younger, sexier, and more edgy in keeping with the metropolitan setting. Their cases will be grittier than those in my Mac Faraday and Lovers in Crime series. After all, anyone who keeps up with the news knows that life in Washington DC is not like Spencer, Maryland, and Chester, West Virginia. Yes, it was a step out of my comfort zone. But, like a runner tackling her first marathon and crossing the finish line, it was a lot of fun and I feel great for having done it. Here’s hoping my readers enjoy this venture as much as I have.